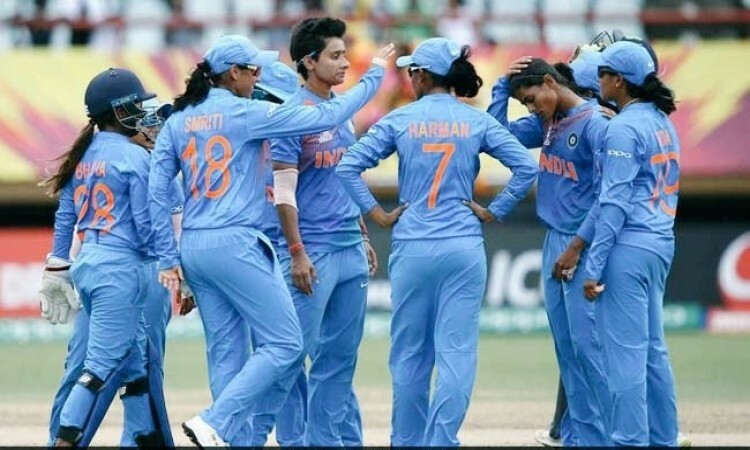 Georgetown (Guyana), Nov 17 (CRICKETNMORE): India continued their winning momentum as they outclassed Australia by 48 runs in Group B match of the ICC Women's World T20 here on Saturday. India displayed an all-round effort to register their fourth victory in as many games. Chasing 167/8, Australia never looked in contention as they lost regular wickets to bundle out for 119 in 19.4 overs. Ellyse Perry was the highest scorer for Australia with 39 runs in 28 balls. Ashleigh Gardner (20) andABeth Mooney (19) also got tg the starts but failed to covert it into a big knocks. For India, Anuja Patil took three wickets while Deepti Sharma, Radha Yadav and Poonam Yadav took two wickets each. Earlier, opener Smriti Mandhana and skipper Harmanpreet Kaur's knock helped India women post 167/8 before suffering a batting collapse. While Smriti smashed 83 runs off just 55 deliveries, Harmanpreet contributed 43 runs to take their side to a good total. The Indian eves kept on losing wickets at regularly but it was the 68-run partnership between the Indian skipper and the opener which took them to a fighting total in their last group game, as India have already booked a semi-final berth. For Australia, medium pacer Ellyse Perry scalped three wickets for just 16 runs.